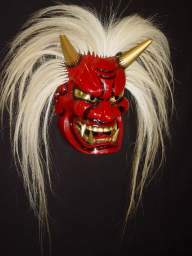 Ondeko means Japanese Devil Tailko (drum) and is one of the traditional artforms which has been carried out in Sado Island, Japan for a very long time. 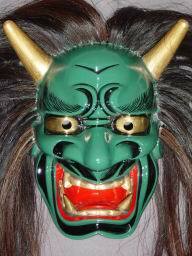 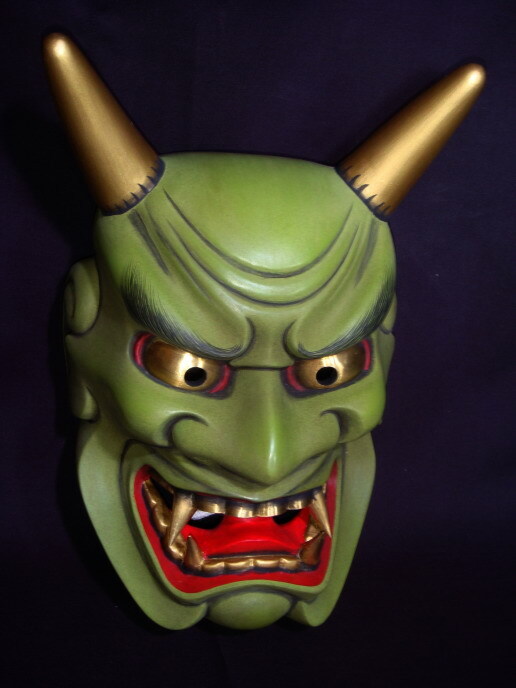 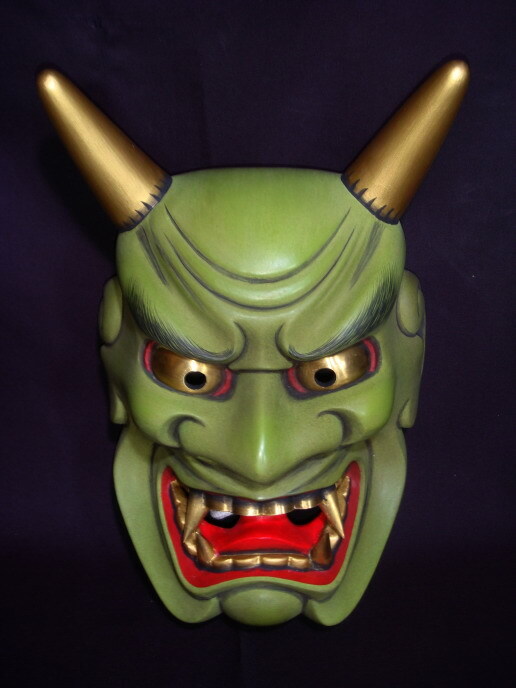 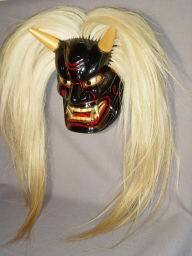 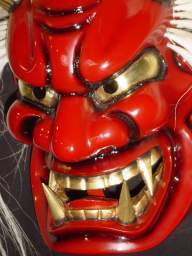 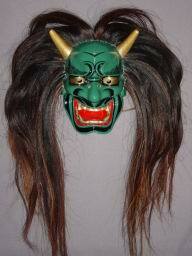 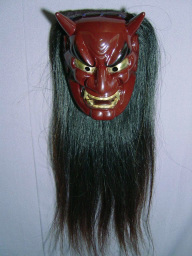 There are many Ondeko teams in Sado and various kinds of Ondeko masks and performances. 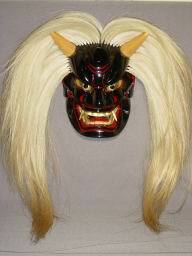 However the purpose is very much the same, such as safety, good health, peace and the avoiding of disaster. 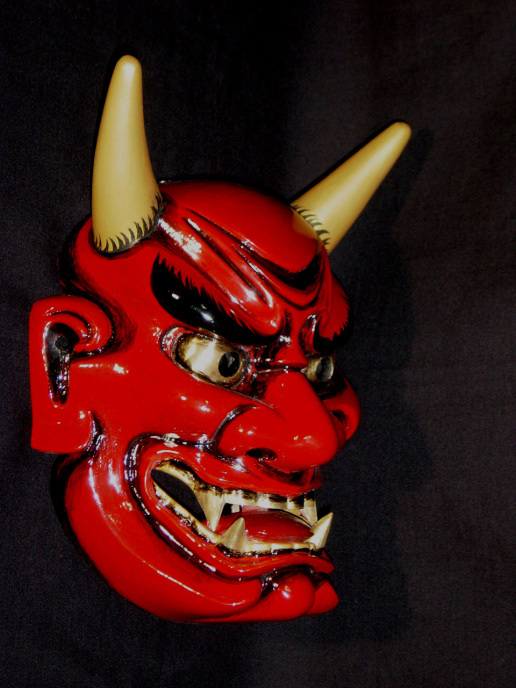 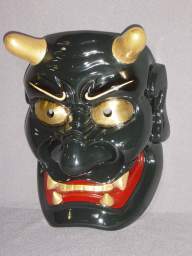 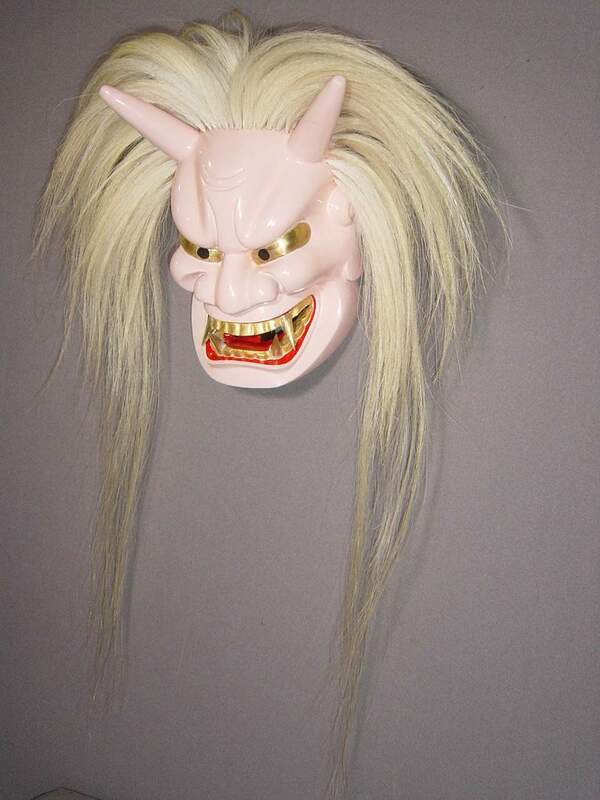 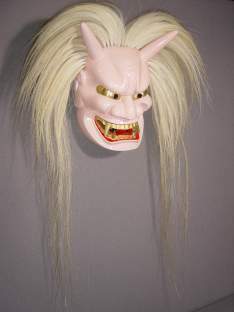 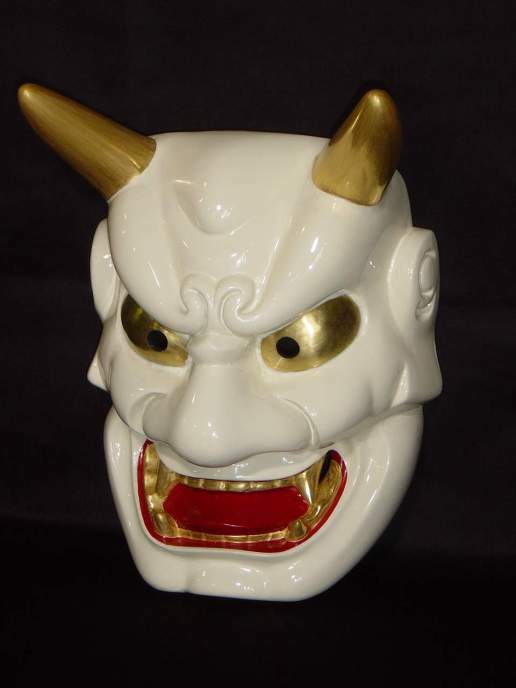 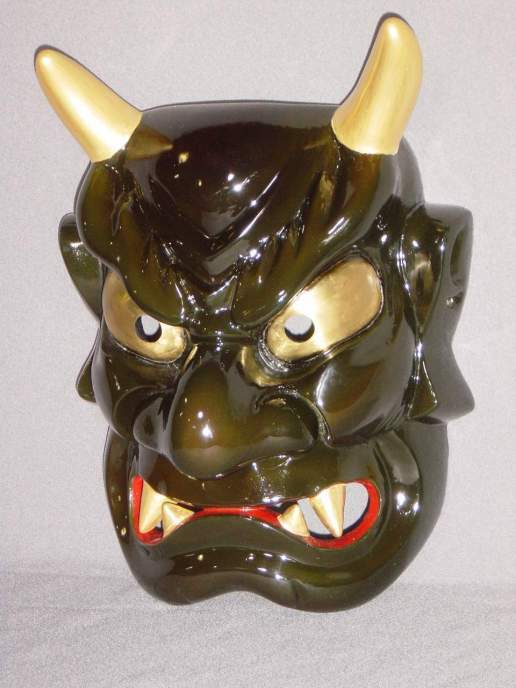 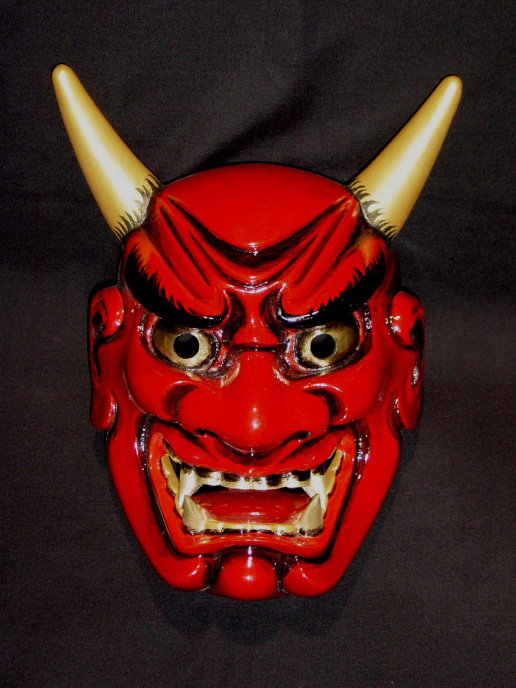 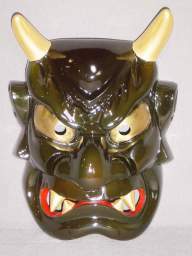 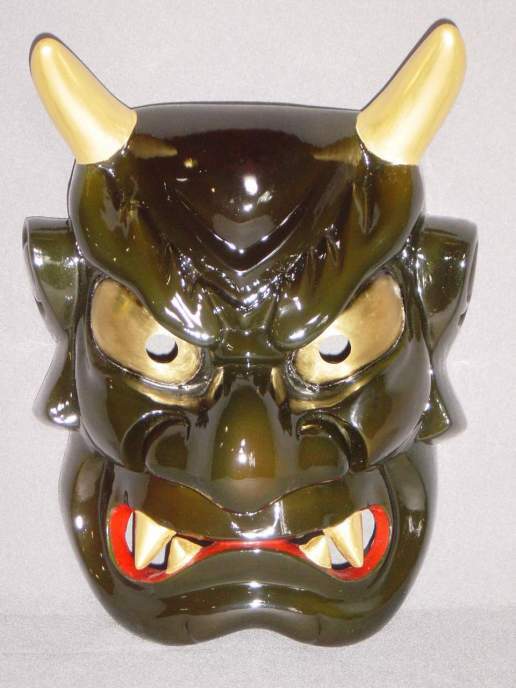 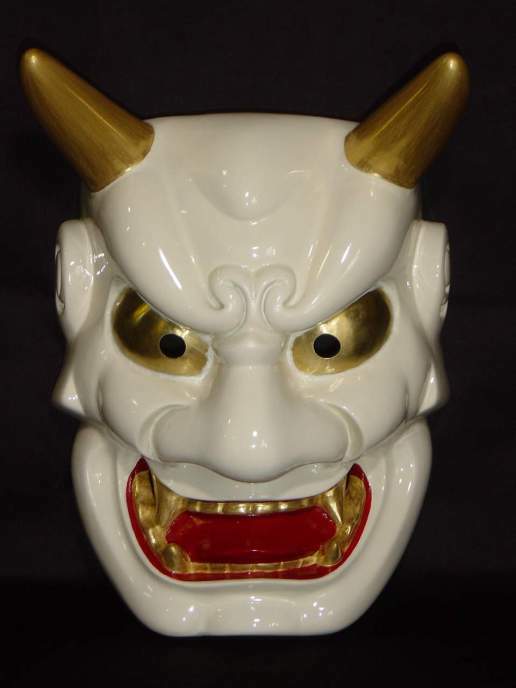 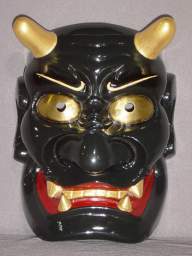 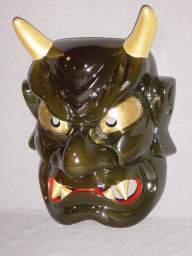 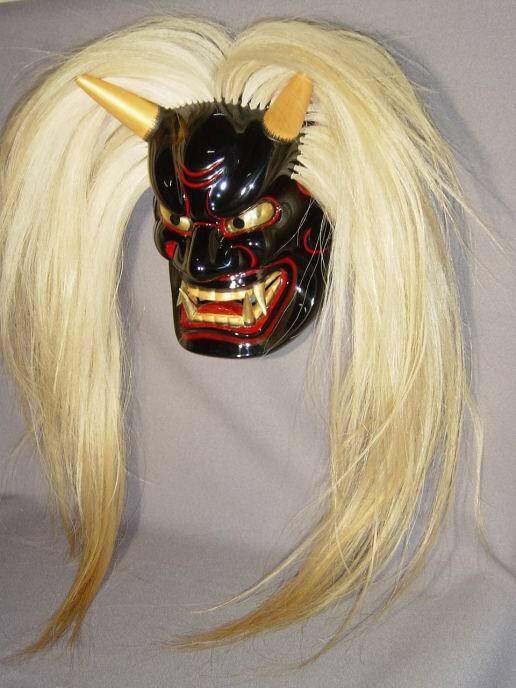 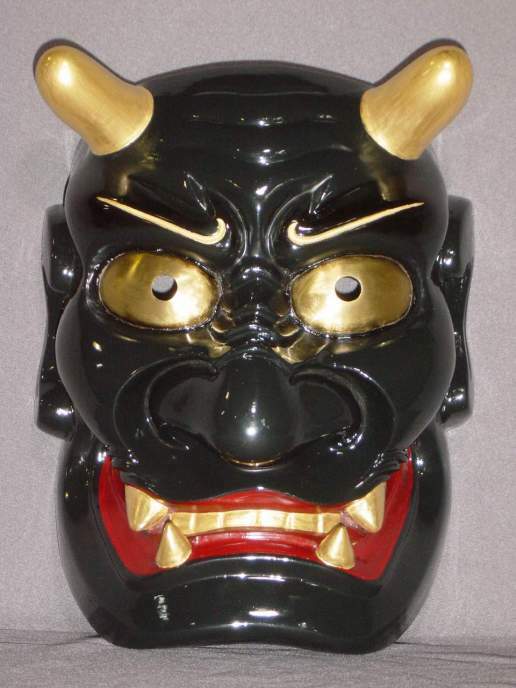 These masks feature a coloring that is different from the Noh mask and uses cashew Urushi, which is the same color as the Shishigashira or the Lion Head. 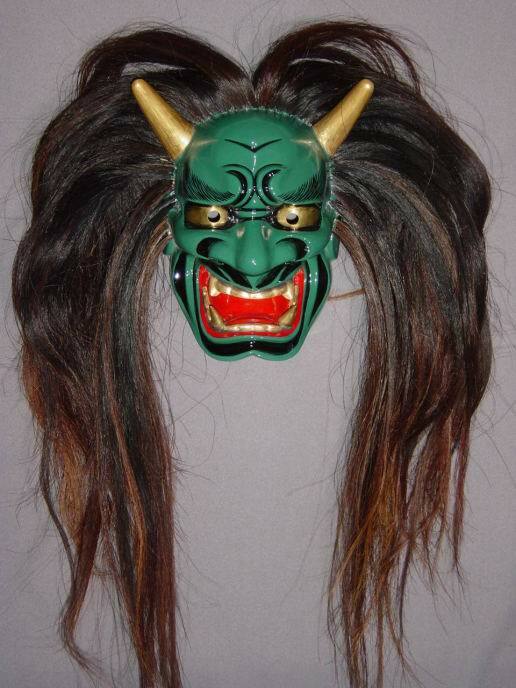 In order to beat the drum the horns are short, and if you want to wear hair on your head, there are some small holes to tie the headdress with string. These masks are designed so that you can have a wide range of vision with eye and nose holes that are adjusted for better vision. 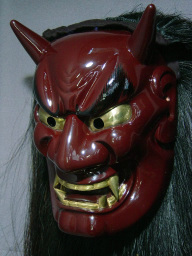 On the reverse side, there is a small hole near the mouth for attaching a string, which the mask wearer bites to hold the mask securely in place.